Cleaning Technology | Janitorial & Sanitary Supplies | Sanco Products Co.
…promoting clean, safe, and sanitary indoor environments where you work, learn, and live. We are committed to bringing you the latest cleaning technology available in the Jan-San industry. ‘Janitorial and Sanitary’ (Jan-San) supplies, chemicals, and equipment represent a broad line including entrance mats, trash containers, trash bags (can liners), restroom paper products (tissue, towels), hand soaps/sanitizers, restroom care chemicals, floor/carpet care chemicals, dish and laundry chemicals, manual cleaning tools/accessories, floor machines, and vacuums. 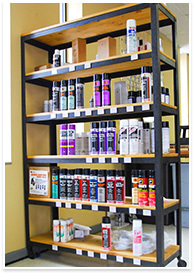 Our goal is to offer our customers not only these products but also to provide the proper procedures you’ll need to use them effectively and safely in order to achieve the best possible results. Our company focuses on offering the right chemical or machine for a cleaning job and the knowledge to do the job right. Factory trained by our team of manufacturer and industry partners, our staff knows the importance of sharing that education and expertise with our customers. Our goal is to help our customers get the best performance and value from our products and more importantly to promote proper usage for the safety of the user and the environment. Recent examples of the need for continued training are OSHA’s new GHS (Globally Harmonized System) Standard and ISSA’s new science-based Clean Standard: K-12. Through onsite product and equipment demonstrations and scheduled training classes and seminars, programs can be tailored to customer needs. Innovations in our industry continue, ranging from low tech (the divided mop bucket) to more high tech improvements like microfiber mops/cloths and touch free restroom dispensers. We feel it is our responsibility to you our customers to inform you of new products and developments in cleaning methods. Since our early days of developing formulas for our own cleaning compounds, we have appreciated the science of cleaning. While there may be limited ways to reinvent the mop bucket, chemistry and pH continue to play a daily role in how we approach a cleaning challenge. Ongoing advances in polymer technology improve the appearance, durability, and cleanability of floor finishes, while developments in battery technology increase the efficiency and productivity of floor machines and vacuums. On a broader scale, awareness of indoor air quality (IAQ) and the growth of Green products and procedures have changed our industry for the better. Our mission is simply to deliver value to all facilities (healthcare, schools, business, industry, food service, hospitality, government) through our products and our people…to be your source for clean and healthy buildings. We value and appreciate your business. Thank you for visiting us online! 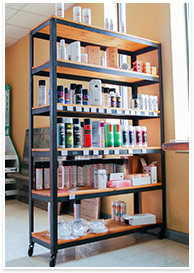 We ship our products nationwide, but we are more than an internet presence. 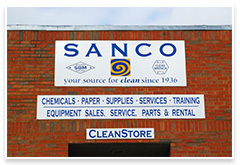 We are proud to make Macon the home of The CleanStore since 1933! In addition to shipping all over the country, our own delivery trucks run daily throughout Central and South Georgia. Please ask us if our order delivery service can bring clean to your location. We appreciate the opportunity to be your Jan-San source – have a clean day!